After several months of being hosted by great museums and then Showing Off for each other, February will be purely social. Please, join us for fun conversation! In the next few months we’re working on the following spots to visit: Fitchburg Art Museum; Gore Place; and the Crane Estate. Get your traveling shoes on, DAM is hitting the road. A Reminder to Show Off! 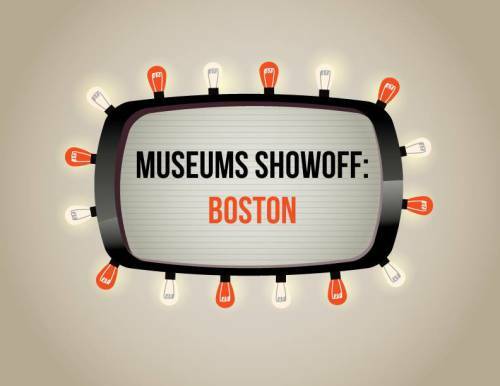 Museums Show Off is tomorrow! There are still a couple slots for speakers if you are interested. Claim your spot today! Please email us with your name and topic if you are interested in signing up. What is Museums Show Off? It’s a chance for you to get up and talk about what ever museum project, subject, theory, or trend has you inspired, puzzled, or curious for what comes next. 9 minutes, slides if you want, a microphone, and YOU!